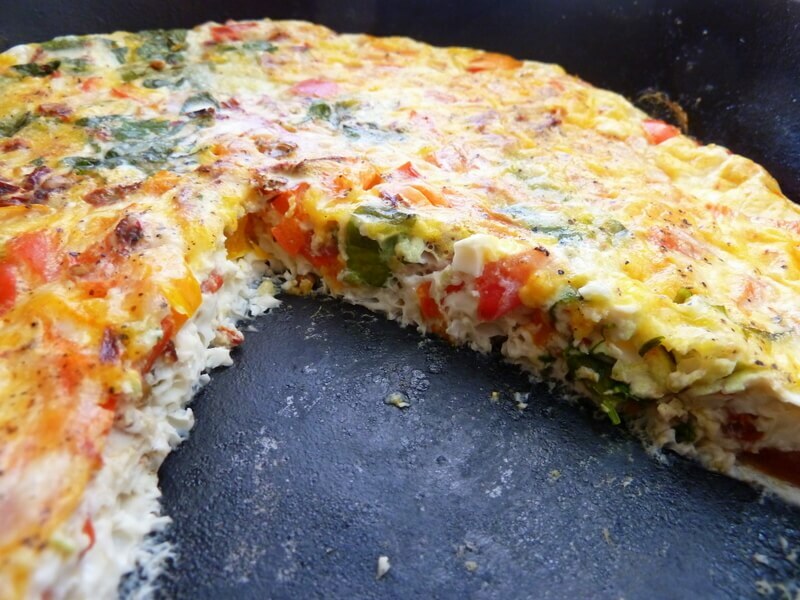 Frittatas are a great breakfast option, they are easy to make and heat up great in the microwave for a quick breakfast. I used egg whites for this recipe because it’s easiest, but you can use whole eggs as well (just know this will change the nutrition information listed below). You can also change it up with different vegetables, types of cheese and herbs & spices. Lastly, I also baked a few sweet potatoes to pair with this to make the meal more filling. Enjoy! Step 9: When ready, take the pan off the stove, remove the lid & place in the oven at 400 for about 10 minutes. You will know it’s done when the center is firm. Step 10: When cool, dived into 6 servings like you would a pizza. Take your sweet potatoes & cut in half. 1 Frittata piece + 1/2 sweet potato = your healthy breakfast! You are ready for the week ahead!